Around the time that the Pentium II was the baddest microprocessor on the block, Baldur's Gate II showed up to blow the cRPG competition away by vastly expanding on everything that made the original game such a hallowed favorite. Computers may be a whole lot faster nearly two decades later, but that classic brand of RPG nostalgia is still on full display for genre fans with Obsidian's own ambitious sequel, Pillars Of Eternity II: Deadfire. 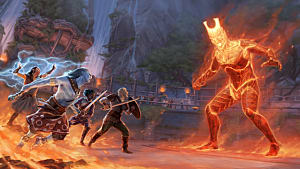 Much like Black Isle's earlier take on the D&D universe, Obsidian absolutely nailed this expansion of the Infinity Engine style, making all of the tweaks that players asked for following the first game. 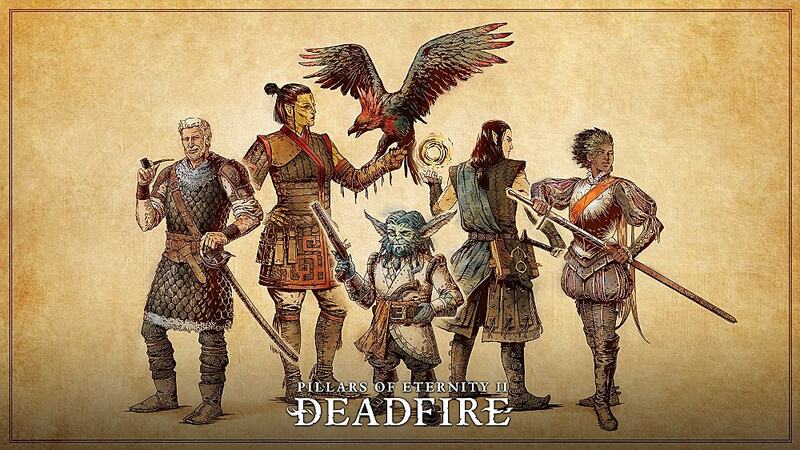 From full voice acting to new class options, fans of the first Pillars won't be disappointed with Obsidian's sequel. 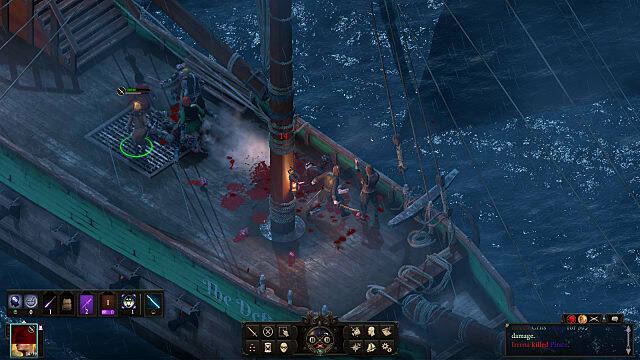 Deadfire features a much-needed change of location and tone, to something that sets the Pillars of Eternity series apart. It's not just background colors and character options that change the experience for returning players, though. 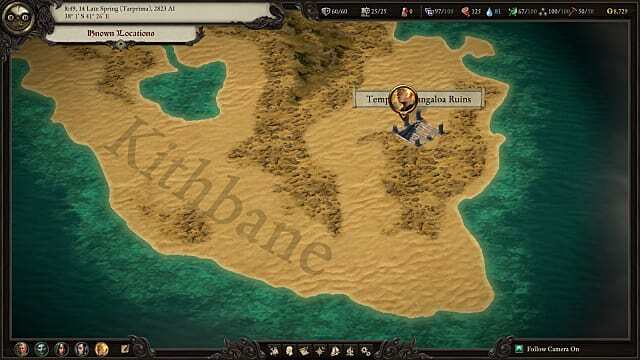 The Archipelago is absolutely alive with history and culture with Deadfire's new open world setting. On top of that, there's been a big cultural shift away from all the Celtic connotations in the first game. This time around, the game has moved toward native Pacific Islanders and invading expansionist Europeans in a golden age of piracy. It's a shift that's not only palpable but also game-changing. RPG fans who love dialog-heavy games will be thrilled by NPC speech peppered with colorful colloquial terms that draw them into the setting. In short, this is a game with a lot of character. Better get used to blood-soaked decks -- you'll be seeing a lot of them! 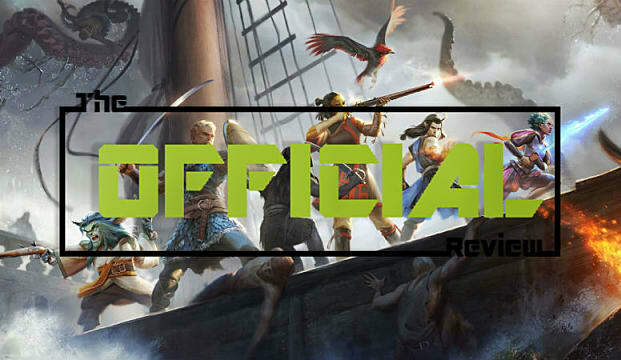 Massive trading companies, ousted nobles turned pirates, religious missionaries, and locals looking to make coin off the lot of 'em collide for an incredibly rich setting that is everything a gamer could want from a high-seas RPG. 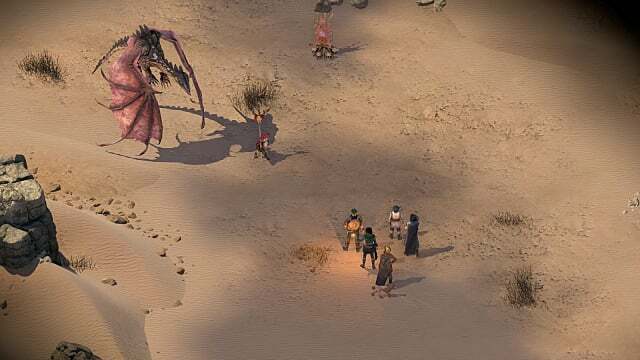 While the story of Deadfire is serious and revolves around the fate of souls across the world, there's still plenty of comic relief to be found between tense combat and philosophical story lines. And that comedy aspect is handled exceedingly well, with killer timing. New companion Serafen's particular world view is always amusing, and there's plenty of opportunity for the Watcher to get herself into trouble by saying the wrong thing. Besides a shift in setting and language, the game itself has evolved in several notable ways. The first and largest change will have fans of the original Pillars heaving a major sigh of relief. 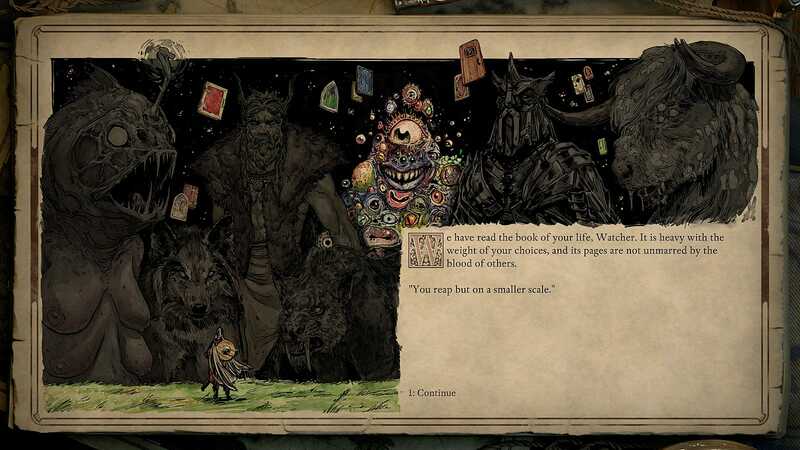 Obsidian thankfully (and very, very wisely) ditched all the backer soul dialogue, which was a major low point of the first game given the massive amount of text present throughout the adventure. The Watcher still talks to souls and sees into other realms, just with better writing that is actually tied into the story. 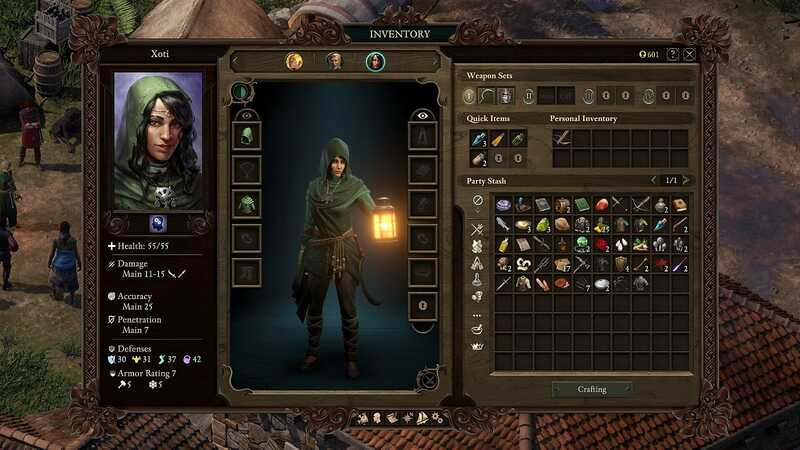 Beyond that much-needed change, Deadfire includes majorly-updated game mechanics, with multi-classing, a totally new reputation system, and ship-to-ship combat. 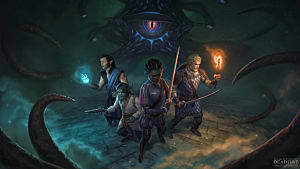 Between the extra class powers, new environmental combat effects, and a host of other battle tweaks, combat feels more tactical this time around.The oddly low level cap of 12 of the first game has also been bumped to 20, offering many new class build possibilities for players to explore. Shifting focus from typical RPG railroading, the Watcher and her crew get a ship early on, meaning they can start exploring the utterly massive Archipelago without having to wait for hours on end. 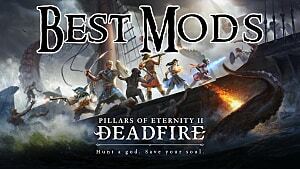 Furthermore, you can pretty much ignore the main quest to go explore most of Deadfire right away if that suits your fancy. And much like with Baldur's Gate II, there are now more options to be an evil, reaving, murderous pirate from the get-go. Of course, there are any number of other ways to play the Watcher, but at least you get access to most of them fairly early. Lastly, there's also noticeably less combat this time around, which was a consistent complaint from the fan base about the first game. 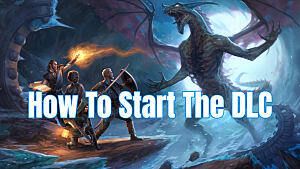 This section contains MAJOR SPOILERS for the ending of the previous game, so if you haven't finished the first Pillars of Eternity yet, you may want to skip on down to the next section. 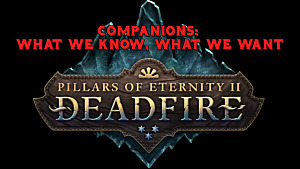 As would be expected from the confrontational atheism versus religious faith ending of PoE, when you discovered Thaos' devastating secret, religion continues to play a huge role in Deadfire. Now that the Watcher knows the gods are a sham, options for reacting to religious characters have grown significantly, and whether you keep placing your faith in the false gods or turn your back on them has major impacts on your party interactions. The Watcher even gets to deal directly with those powerful ancient Engwithans in a variety of dreamlike settings, and there's a definite rush to staring the goddess of death in the face and telling her exactly where she can go shove it. How religious characters and organizations interact with each other is central to the storytelling in the continuation of the Watcher's saga. 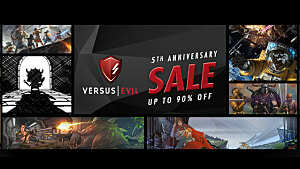 Player choice is a major factor in every conversation, so if you want total control over your character's actions and motivations, this is the RPG for you. The strength of the writing and nuance in the world's religious background really shine through companion interactions. New character Xoti is one of the highlights of Deadifre, coming off at first as an adorably unrefined, sassy southern lass (you will be forgiven if you too think of Cameron's sister Pameron from Modern Family). Whether you want to kindly indulge her superstitions or mercilessly mock her backwards beliefs is up to you, and those interactions become a test of character for both of you as the game's story progresses. As with the first game, there's constant inter-party dialog and interactions to be had in Deadfire, making it a pleasure to travel around from place to place and see how the members of the group talk to each other. Beyond the options of "good" and "evil", every character has a host of personality traits that impact not just how they view the main character, but how they interact with each other. The sheer scope of the possible party interactions is breathtaking, and there's plenty of personality types to choose from. If you were worried there wouldn't be a foul-mouthed git who likes to toss around insults just because Durance is absent from this sequel, you needn't be. Serafen is everything you ever wanted from an evil little sea pirate mogwai companion who has an endlessly dirty mind. He's also psychic, so get ready for a fun time. The characters are fabulous, the combat is refined, the exploration elements have greatly (greatly) expanded, and the backer soul dialog is blessedly gone. Are there little issues that could be nit picked about the game's combat, UI, or load times? Sure, absolutely. Some of those will get patched out, and some will probably stay forever. But honestly, none of them have even remotely detracted from the game's enjoyment factor so far. 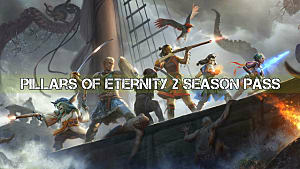 Pillars Of Eternity II combines the best bits of the strategy and humor from Divinity Original Sin with the style and imagery of classic Infinity Engine games, throws in open world RPG exploration, and blends it all together with Obsidian's trademark solid character building. In short, this is going to be the RPG of the year. Clear your calendars, folks, because the RPG of the year has arrived.